Origin and Habitat: Chihuahuan Desert vegetation in Texas and, possibly, neighboring Mexico. 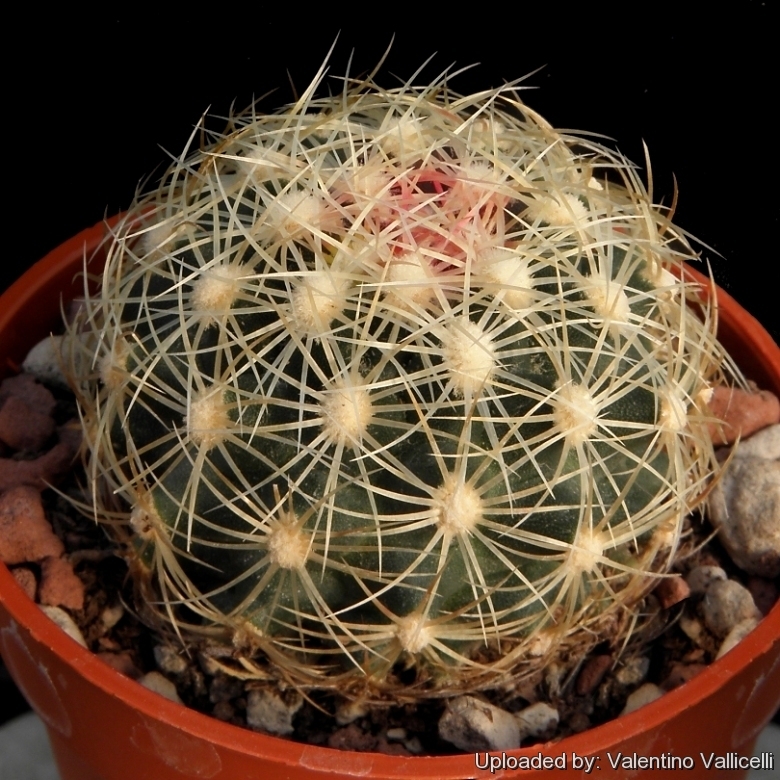 Description: Thelocactus bicolor subs. flavidispinus distinguishes from the standard Thelocactus bicolor for the spines covering the entire plant, of which 3 central spines, 12-17 radials, and (usually) bicolored flowers, all the other characteristics namely size of stems, flowers, fruits, roots etc. clearly show that they are conspecific. Central spines: 3, ochre to reddish, straight, acicular. Radial spines: 12-17 ochre to reddish, straight or slightly bent inwards, acicular. Flowers: 55-110 mm wide (usually) bicoloured, magenta with a red throat.